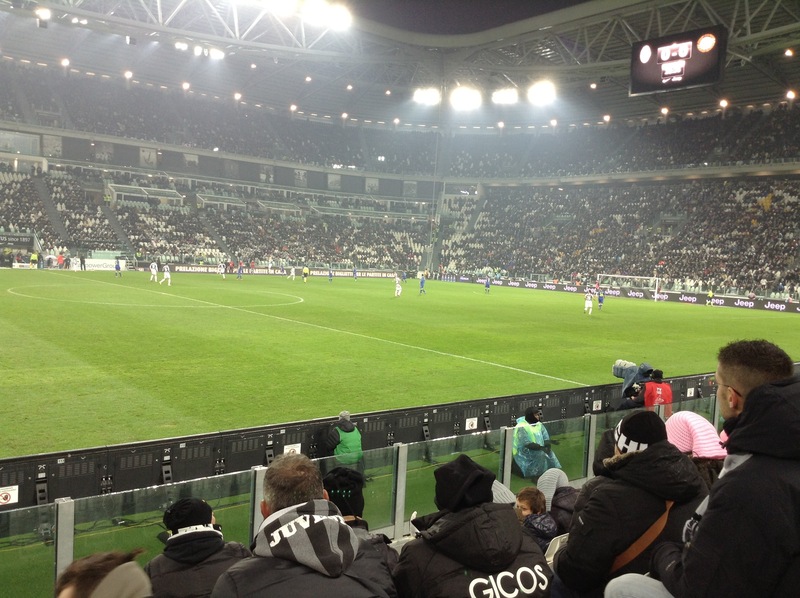 on my last trip to Turin, I went to Juventus Stadium to see Paolo’s team take on Udinese. our seats at the edge of the field provided a Francesca-like view of the action (and the players–yum). 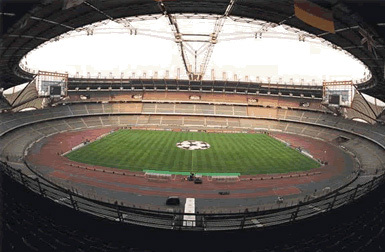 Paolo had gotten off to only a fair start–a couple of crosses into the Fenerbahce box, but only one that looked dangerous, that Chicetti was almost able to turn into a goal, had it not been for a swift punch from the Turkish keeper. Her attention was so focused on the screen that she hardly realized anything going on around her, and almost screamed when someone tapped her on the shoulder. “I’m sorry, I startled you,” the man said as she whipped around to look at him. It was the Turk. “Selim!” The impossible was happening. Her jaw dropped as she stared at him bug-eyed, disbelieving. “I’m sorry,” she stammered, “I was just trying so hard to follow. How did you–” she began asking confusedly. “My boyfriend is playing for Juventus,” she replied. “Which one is he,” the Turk asked, smiling. “Ah, Romaldo!” The Turk exclaimed. “He’s fantastic. Now I know why he’s playing so well this year,” he said, nudging her. On the way back to the Velvet, she debated what to do next. She could wait for Paolo up in the room, or she could have a drink in the bar. Though she would love to wrap herself in a bathrobe and sit in front of the fire, she felt like it would be a waste to come all the way to England, dressed as nicely as she was, and not at least give Paolo the chance to see her. She settled on the bar. Babe, I’m waiting for you in the bar. She sent him a text. Be there soon. The entirety of his reply. It was hard to tell over text, but he didn’t seem to be in the best of moods. She ordered a Fernet and Coke, and the bartender looked at her like she was an alien. He turned to the wall of bottles behind him. “Sure you don’t want a cosmo?” he asked hopefully, squinting at the shelves. 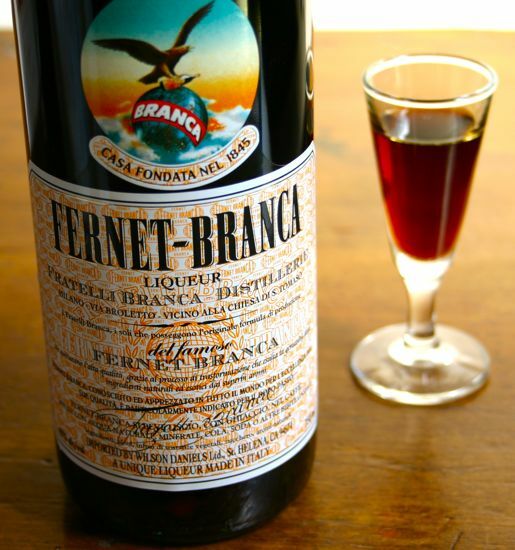 “She’s looking for Fernet, mate,” a voice said from behind her. A man in a tweed blazer, printed button-down shirt and jeans. “Second shelf, third bottle from the left,” he directed the bartender. Francesca turned to the man. “Thank you,” she said. The bartender set Francesca’s drink on the marble bar in front of her. “Add it to mine,” the tweed blazer man said. “Waiting for your boyfriend?” She nodded. “Rude of him to keep you waiting,” Gavin said. “He’s on his way,” she answered. Gavin leaned in. He wasn’t unattractive, she thought, he was sort of handsome in that English way, kind of a mix of Jude Law and Jamie Oliver. “You sure of that?” he asked her. She considered telling him, if she actually thought it would turn him off enough to leave. But he was the type to see a fancy football-playing boyfriend, absent as he was, as a challenge. He wouldn’t leave her alone. It would just cause more trouble. She swirled her drink, clinking the ice cubes against the sides of the tall glass. “I’m certain,” she replied. When she went upstairs, the first thing she did was turn on the television to see if Paolo’s game was still on. It was over, so she watched RAI Sports to get the recap. It was a channel she’d never even known existed, but as she watched, she started to hear names and phrases familiar to her from listening to Paolo. There had been several games that evening, and she had to watch reports from Rome and Naples before getting to the Juventus match. They had played Udinese and the sportscasters insisted on making their report as suspenseful as possible when recounting the highlights. 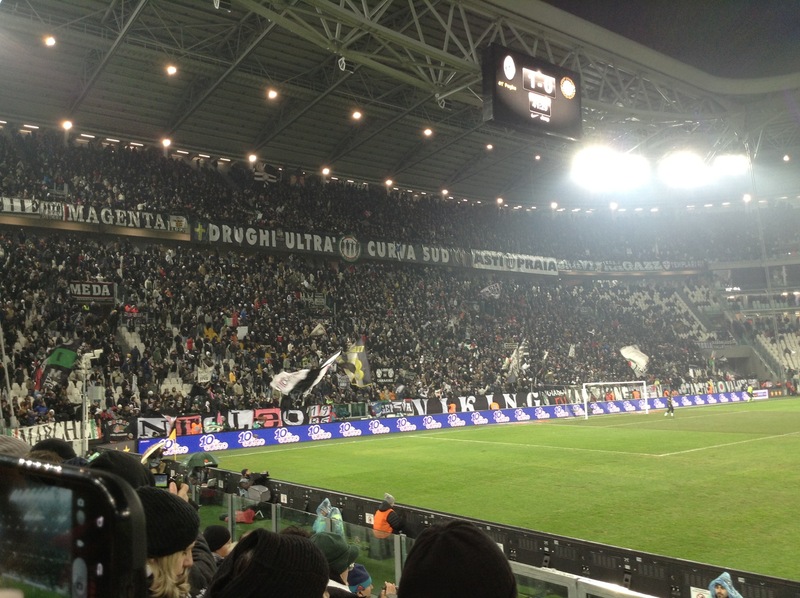 Juventus had scored first but Udinese was quick to return attack, and the game was tied at the half. 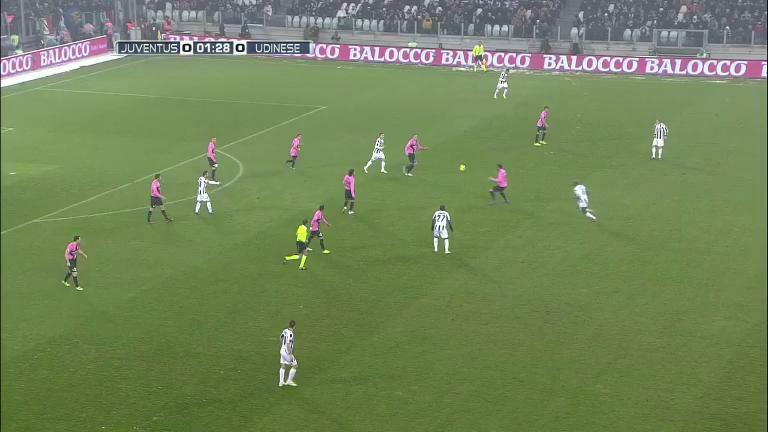 At the start of the second half Juventus subbed in Arancetti, their powerful young striker, and waited anxiously to see if the 20-year old could score a goal and justify his incredible salary. Arancetti did score, and his goal came off a set piece from none other than (and here the sportscaster paused for effect) Paolo Romaldo, the maestro of the midfield, sailing a gorgeous free kick into the box for Arancetti to head past the goalkeeper. Francesca cheered as she watched it on the television. She reached for her phone and sent him a message. Congratulations, baby! Looks like you saved the day! xxxxxx. Two minutes later, her phone rang. “Is this the maestro of the midfield?” she answered. He laughed. She could hear all sorts of background noise–music, talking. “I’ll be the maestro of your midfield,” he replied. “Why wouldn’t you?” he asked. “That’s not how you would really describe it, is it?” he asked. “Why, what would you say?” She realized she wanted very badly to know his answer. “I’M DATING A BEAUTIFUL WOMAN NAMED FRANCESCA,” she heard him yell over the noise of the bar. “Did you hear that?” he asked her. “Anyone who asks. Anyone at all,” she answered. She ended the call and stared at her phone for a moment, trying to make sure she had understood what he’d said. “I’m dating a beautiful woman named Francesca” rang in her ears. He cared. He really cared. Right? Now she really needed Timo. She picked up her phone to dial him, then thought better of it. Timo had made it abundantly clear he was tired of hearing about Paolo. Maybe it was time to come clean to Cristina. Francesca moved to her desk, where she started up her Mac and began to look at a day of email she’d skimmed over on her phone. Contractual stuff she’d forward to Timo, requests for permission to reprint, gossipy missives from her friends. She stared at the screen for a moment before clicking on Google and typing in “Paolo Romaldo.” Instinctively, habitually, she looked at the image results first: action shots of him on the field in his black and white uniform, a couple of what she’d categorize as “lifestyle” shots, pictures of him in regular clothes, posing, a few photos from the 2006 World Cup, wearing a medal. Several photos in front of different step-and-repeat screens at events, a different woman on his arm at each one. The girls were invariably tall, blonde, and beautiful. If she had to guess, Francesca would say they were models. Maybe former models. She clicked over to the “everything” results. First up, his official biography on the Juventus roster. She read it line by line. Born in the south of Italy, in the football system since grade school and officially recruited out of secondary school to under-17 and then under-19 teams. Played his first professional ball at Napoli and then traded to Juventus in a multi-million Euro deal that, if she was understanding it properly, secured his place on the team for seven years. The curious part of his biography was the section titled “Hobbies”: opera, languages, and motorsports. Opera? His taste in music was awful. She wondered, briefly, if there were just a bunch of nouns thrown in a hat and each player had to choose three. No mention of his family, no mention of his status, no mention of any extracurricular activities beyond opera, languages, and motorsports. But that was just the official biography. Unofficially, she found a lot more details. From the websites of magazines she regularly tried to avoid, she found conclusive evidence that he had been linked to a top runway model, a girl she knew from the shows. She also found that he recently negotiated a contract extension that would, when finalized, net him over $30 million Euro for the next five years. She found a lot of youtube videos of a goal from Euro 2010 that had seemed impossible and sent Italy into the semi-finals. She found even more videos of Champions League footage, mostly dramatic goals but occasionally just brilliant passing plays. She watched them with the sound muted. 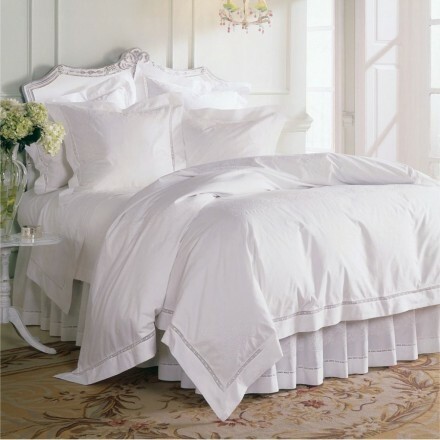 He moved sinuously, confidently, the same way he’d moved the night before. Like he knew exactly what he was doing. Paparazzi reports of sightings in Anacapri, San Remo, and Cinque Terre, each time with some different, brand-name girl. Francesca grew bored and googled herself. The results looked like her portfolio: a listing of all her shoots, campaigns, and spreads, biggest names first: Vogue Paris SS 2011 runway recap, Marni FW 2011 campaign, Fendi Jewelry, and on and on. She skimmed the first five pages and found nothing remotely personal. Good. The last thing she wanted on the internet was a running commentary on her social life. She paged back to the image results for Romaldo. A few dozen photos in, she found the D&G underwear shot. She downloaded it to her computer and popped it into Photoshop, then zoomed in on the handsome man at the back of the photo. Even though it was five years old, he still looked exactly the same. Chiseled pects and abs, tan, muscled legs and arms, and that unmistakable bulge. Feeling her pulse quicken, Francesca looked around guiltily for Timo, who was at his desk, wearing his headset and having an intense conversation on Skype. Safe. She turned her attention back to her massive monitor and the image of Romaldo. If she closed her eyes, she could feel her fingers on his skin, tracing its contours and hardness, and she remembered the weight of his body on hers, the warmth and the pressing and the sweat and then fullness. It seemed like it hadn’t been real.